Traditionally football or sports, in general, has been thought of as apolitical. It is a space where teams and fans gather to watch their favourite sports being played without it being political. And yet, historically, we have seen that the sports arena is one of the most politicised spaces that exist. 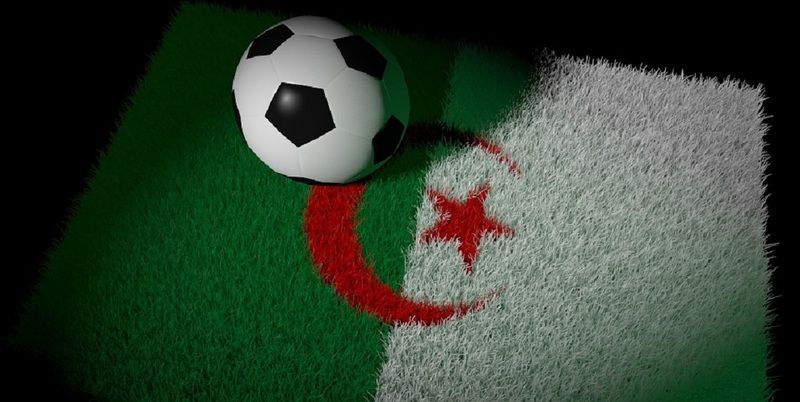 The ongoing 2018 World Cup has shown us that many of the existing rivalries between teams stem from politics.Â Algeria is one national football team (not represented at the World Cup) whose entire existence is a politically contested one. Football was an important tool used in the independence struggle of the people of Algeria. Up until the 1950s, Algeria didnâ€™t exist as an independent country. Instead, it was a colony of the French and the French national football team would take Algerian players to play for the team, all the while denying them their freedom. Football had always been an important part of Algerian culture. From the 20th century, football was being played in Algeria. Many â€œMuslimâ€ clubs developed their uniforms and names drawing on Islamic themes. The colours that would later become the Algerian flag colours were first worn on those football uniforms. These clubs became the first site of colonial contestation in the sporting arena. It was from those teams that many players were plucked and taken to play in France. In April 1958, an Algerian-born footballer, Rachid Mekhloufi was called up by the French national team to play at the 1958 World Cup. This would have surely meant he would have become an international star. However, Mekhloufi along with seven other Algerian-born footballers decided not to play for France. Instead, they joined the National Liberation Front of Algeria who had just set up a football team. The Liberation Front were at the time fighting a war against France for independence. The actions of the eight footballers made news around the world and increased the support for the Algerian liberation struggle around the world. Mekhloufi and the othersâ€™ actions were influenced by one player, Mohamed Boumezrag, who played for France but decided that it was more important to support his countryâ€™s push for independence.Â He called on the head of the Algerian National Liberation Front to begin a recruitment process for the Liberation Frontâ€™s own team which would be known as Ã‰quipe FLN. Boumezrag then asked Mekhloufi and the other players to join the Ã‰quipe FLN, and in doing so forsake their international dreams and become part of the independence movement. Just two months before the â€˜58 World Cup kicked off, Mekhloufi and others players left France to head to Algeria. They had to do it undercover without alerting the authorities because if the French government found out about their plan they would have been arrested.Â After growing their team, the Ã‰quipe FLN toured all around the world, playing football matches and growing global support for their independence struggles. All they asked from the countries where they played was an acknowledgement of their Algerian flag and anthem, therefore, legitimising their independence attempts. In a period of four years, the FLN managed to win 65 times, beating Yugoslavia 6-1 and Morocco 8-0. They also played in Vietnam in late 1959. Vietnam had at the time recently won their independence from France. It was on 1962 July 5 that Algeria got its independence and all of the threats the French colonial power wanted to level against the players were erased. A national Algerian side was then formed playing in green, red and white. The FLN team was disbanded with some of the players who had come out of retirement to join the team returning to retirement. Other players continued playing for Algeria while some went back to France. According to a short documentary by teleSUR English, this anti-colonial history has carried on until today where football stadiums are sites of anti-imperialists discourses where fans show their support for various political issues including the Palestinian cause. Today, the trend has been bucked. Now some of the best Algerian-French players go to France to play for the Les Bleus, like Zinedine Zidane, while the rest play for Algeria. However, the efforts of those revolutionary players can never be forgotten as they gave up personal glory to be part of achieving independence for their birth country. It is those efforts that never seem far from Algerians living in France as they grapple with their complicated history and relationship with their former colonisers.